My name's Jan and this is my website all about Cabo Roig in Spain. Register now for free to talk about General property discussion in Cabo Roig and much more! Hey folks, first time posting here despite browsing the forum for the last year or so, the wife and I have just arrived in Cabo Roig and are currently renting for several months whilst looking for an affordable place to buy. Have spotted several well priced apartments in the Los Nietos area and was wondering if any of you could shed light on the area. Our plan is to live and work permanently here and the coastal location along with the Cartegena proximity might be exactly what we need. I've heard those small villages can be pretty quiet in the wintertime which doesn't really concern me too much but I'm open to all opinions, thanks in advance. I went to Los Nietos in August. The beach was lovely but very very quiet. There was a few cafe bars in the main street, again only a few people in them. Much too quiet for me I'm afraid. Los Nietos is pretty quiet all year, but very quiet in the winter months. There are a few amenities, but a car would be necessary. There is a tram which connects Los Nietos with La Union and Cartagena. Well Los Nietos turned out to be pretty run down and didn't float the boat so still looking, gonna head inland a bit, i'm on idealista every day but can anyone recommend local websites/agents for a limited budget.. thanks again..
My brother-in-law is in a similar position to you. 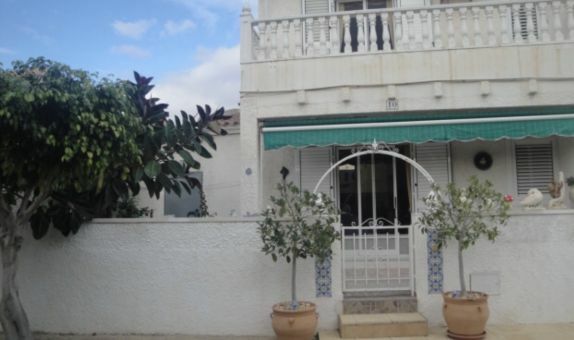 He has building skills, and wants a fixer-upper within walking distance of the Mar Menor. It seems that there a quite a few properties for sale by their Spanish owners - they just have Se Vende signs and phone numbers on them. He and I drove around the areas that he was interested in and noted down addresses and phone numbers. He then used a local translator to make the phone calls, set up appointments, and to assist at the viewings. He agreed a price on a property and hopes to complete on it shortly. Prior to him coming out, I tried several estate agents catering to British buyers. They didn't seem interested in helping him. Thanks for that Kelvin, we have done some window shopping at local agents but there's so many of them and as soon as you look in their window they pounce, which can get irritating pretty quickly. The properties I've emailed about just result in a generic copy/paste response but I'm not daunted. We breezed my wife's NIE application this morning and my own is scheduled for Friday, so we're slowly getting things sorted. Question - married to EU citizen. What are your rights after Bexit?